June and Harry find themselves in a lot of trouble in the shapeshifting drama The Innocents. 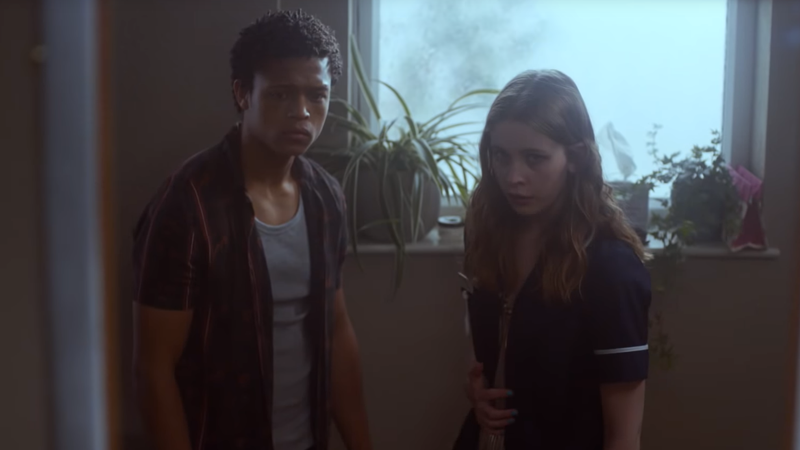 The first trailer for Netflix’s latest genre show The Innocents introduced us to a relatively low-key take on shapeshifting, utilizing deft camera work to get over the process of a girl named June discovering her powers. The second trailer goes, much, much harder on the fantastical aspects, and keeps it dark. This time around, there’s a little less focus on the budding relationship between June (played by Sorcha Groundsell) and her star-crossed boyfriend Harry (Percelle Ascott), and more on how June became a shapeshifter, using her mother’s dark past as a lens to explore why the young woman has suddenly become a target. This means there’s a lot more shapeshifting going on, too—and while we still get some of the clever camera cuts we got in the first trailer to highlight the suddenness of June’s transformations, we also just get to actually see it this time too, and it’s weirdly messed-up at times. Especially with the seeming implication that the shifting is potentially harmful to whoever June ends up copying. This is definitely looking to be much more intense than the supernaturally-tinged teen romance we were seeing in the first trailer. The Innocents begins on Netflix August 24.